Do not use for navigation! 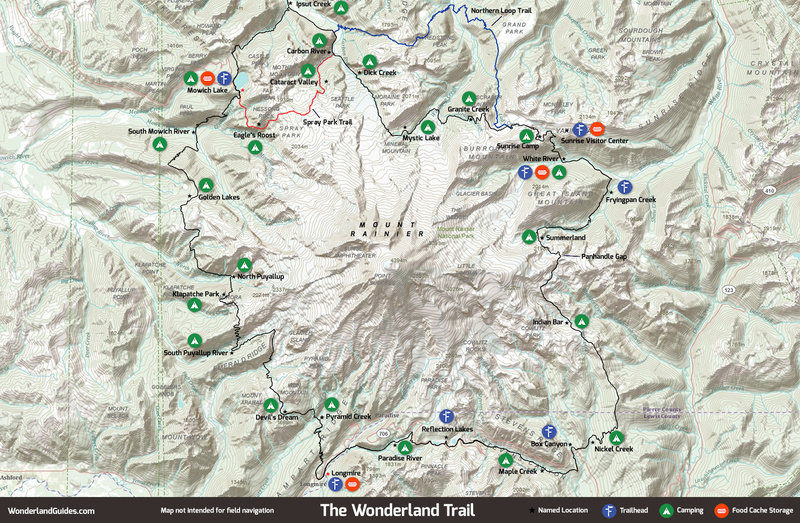 The trail overlay on this map is not accurate enough for safe navigation and is meant for casual reference only. If you need a map for navigation, the best one available is the National Geographic Mount Rainier National Park Map. You can get it here on Amazon.